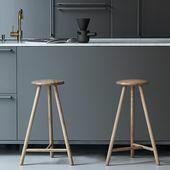 Nordic values, including equality, are at the core of Finnish Design Shop’s operations: women work in various roles in our company. To celebrate International Women’s Day, we created a report illustrated by Emmi-Riikka Vartiainen, which includes some surprising facts. We currently have 66 customer service, logistics, product management, financial administration, sales, marketing and IT professionals working at our offices in Turku and Helsinki. No less than 46 of them are women. Even salary-wise, things are in order: there is no gender pay gap among managers or employees. According to statistics on non-listed companies, 20% of Board members and 10% of Chairs of the Board are women. 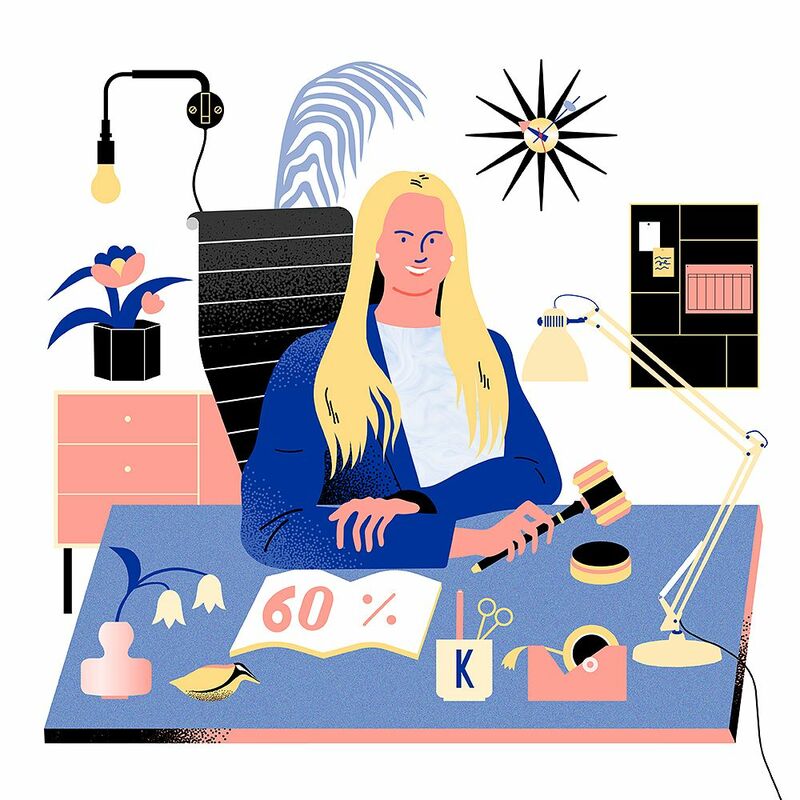 However, more than half of Finnish Design Shop’s Board members are women, with Kaisa Ala-Laurila, CEO of A-lehdet, wielding the gavel as the Chair. The other Board members are Anna Ruohonen, Head of Business Unit at A-lehdet; Titta Halme, CFO of A-lehdet; Jarkko Aro, VP, Distribution and Logistics at Metso; and Teemu Kiiski, the founder and CEO of Finnish Design Shop. 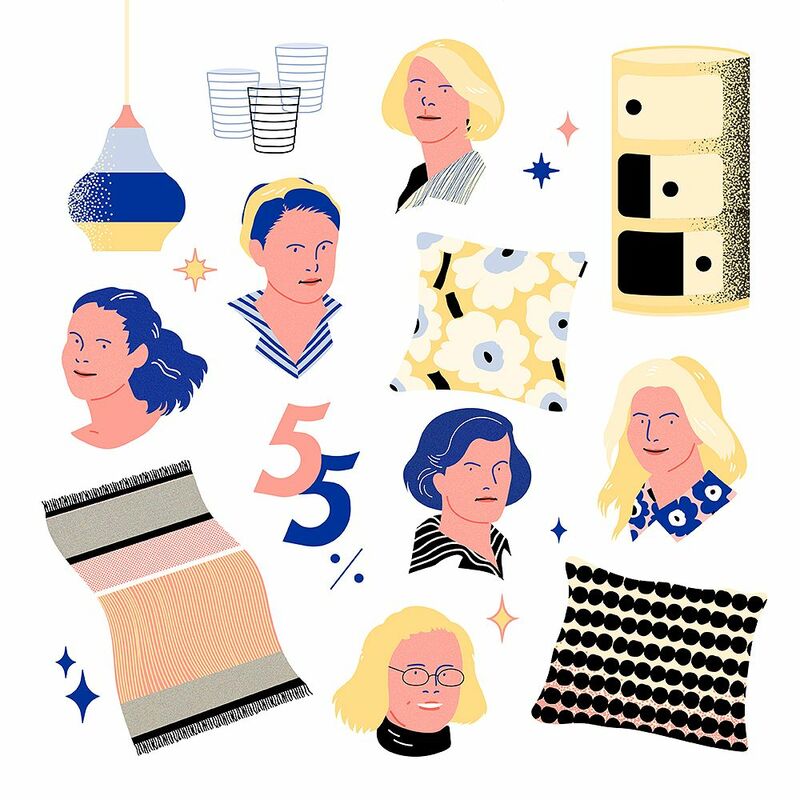 Women work in various roles at Finnish Design Shop. 70% of our staff members are ladies. Reetta Noukka started her career as a trainee with Finnish Design Shop and returned in 2017. She is now the company’s Chief Operating Officer and one of the three members of the management team, the other members being Teemu Kiiski and CFO Peter Svensson. Women have starred in more than half of our Design Stories articles. 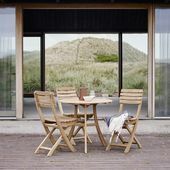 For example, we have written about the impressive life work of Aino Aalto, the future design classics of Cecilie Manz, and the breathtaking interiors designed by Linda Bergroth and Studio Joanna Laajisto. 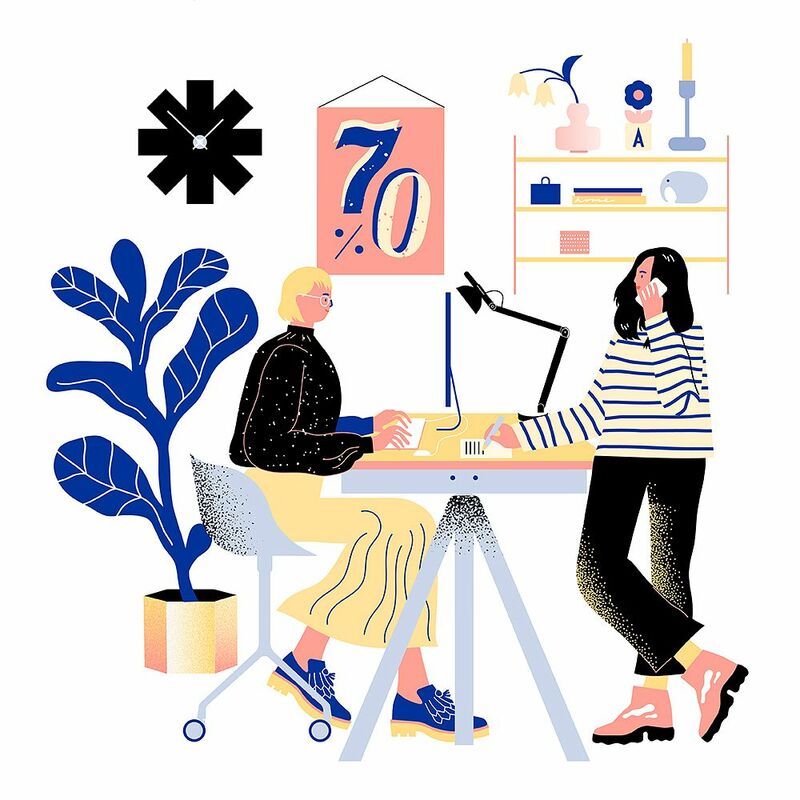 In practice, women are also creating the texts and pictures for the online shop and writing the articles for Design Stories: 80% of the content team of Finnish Design Shop are women. However, women are still a minority in the field of design. 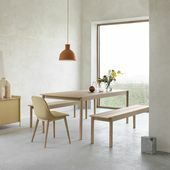 For example, only 30% of the over 600 designers of Finnish Design Shop’s product range are women. 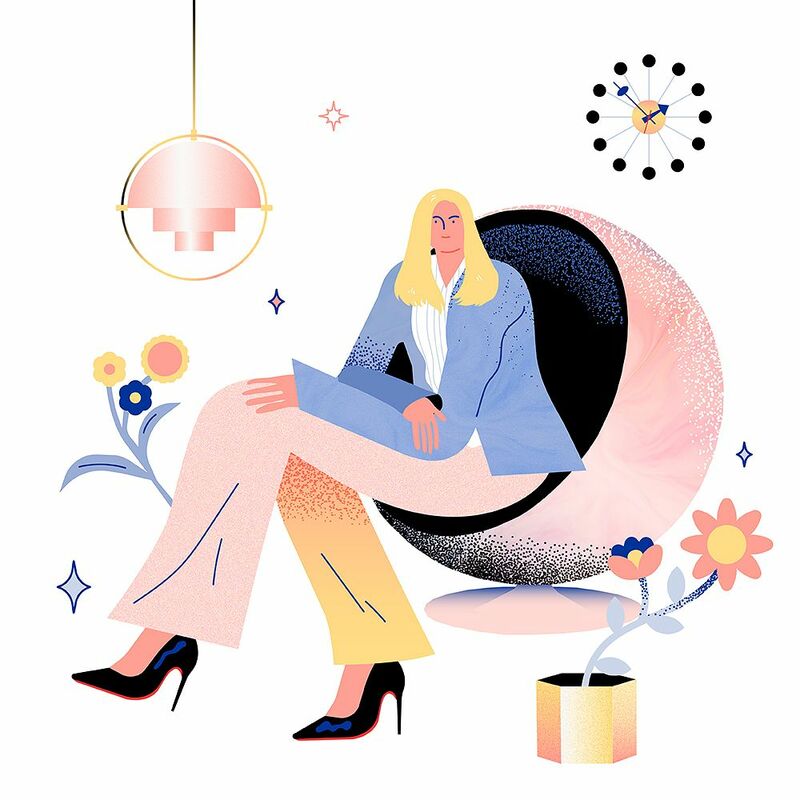 We attempt to make a difference by both shining a spotlight on women in Design Stories and offering designers an equal springboard, the FDS Award design competition that is open to everyone. 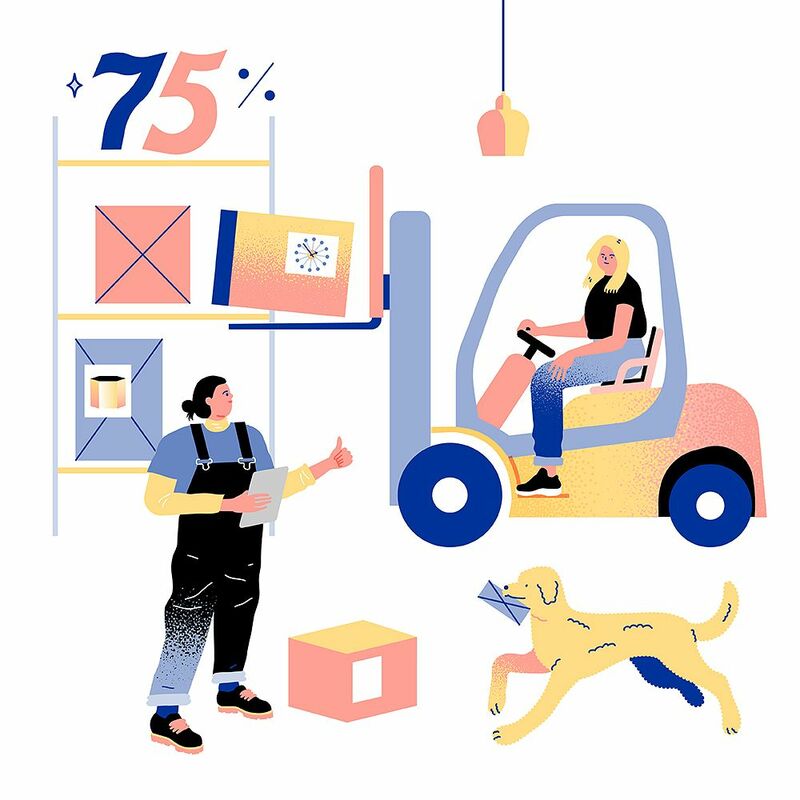 A whopping 75% of our warehouse employees are women. The transport and warehouse sector is traditionally male-dominated, but the opposite is true for Finnish Design Shop. In our warehouse in Iso-Heikkilä, Turku, a whopping 75% of employees are women, while statistics give a figure of 19.1% in general. Supervisor Sonja Karppinen manages daily operations at the warehouse, including the reception of deliveries and the picking, packing and shipping of hundreds of orders placed by design lovers in Finland and abroad. Miss Elmu, a wilful poodle, handles quality control at the warehouse.